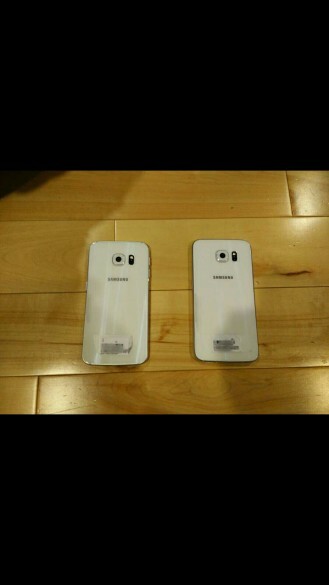 Now that the Samsung Galaxy S6 is approaching its real unveil at MWC, the leaks have turned into an open faucet. Following yesterday's images of the Galaxy S6 from all angles, today we have a couple of photos of the S6 and S6 Edge side-by-side being all, "I'm flat!" and, "I'm curved!" Oh come on, you're both pretty. I mean, kind of. New XDA member graaler posted these screenshots of images of both devices from the front and the back. 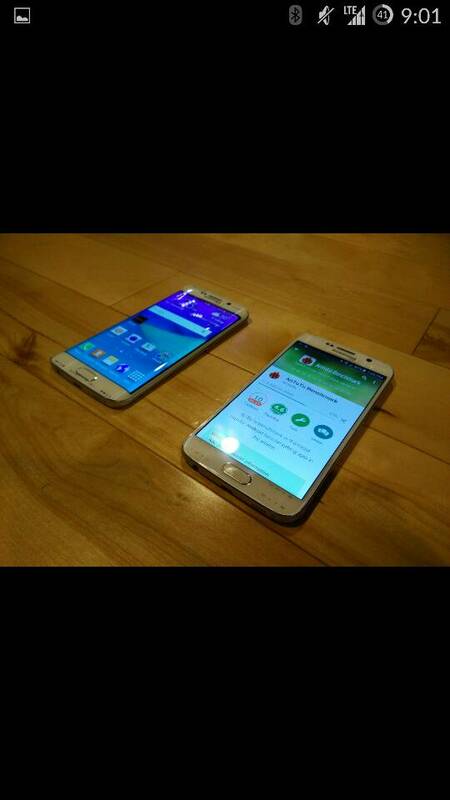 They appear to be similarly sized, with the S6 Edge looking slightly more svelte thanks to its curved, well, edges. The home button is present on both devices, with a few rumors talking of an improved fingerprint reader, and there are no on-screen navigation keys to be found. The camera bump is prominent on both models, corroborating the likely theory that the S6 will have an enhanced camera compared to the S5. And for better or worse, Samsung's signature icons are all over the S6 Edge's screen. 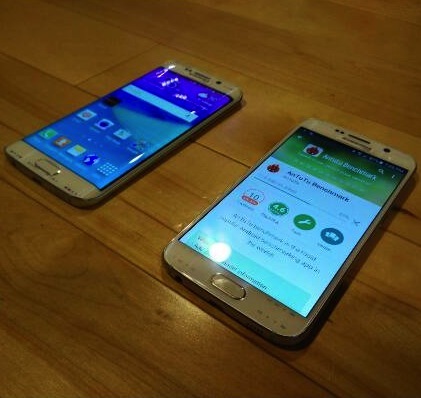 Whether this is the final software version and a glimpse at what TouchWiz will eventually look like on the S6, we don't know, but we can only hope that Samsung really lightened its software's load and intrusiveness this time. I'm all for OEMs adding features to Android, but y'know, in moderation.